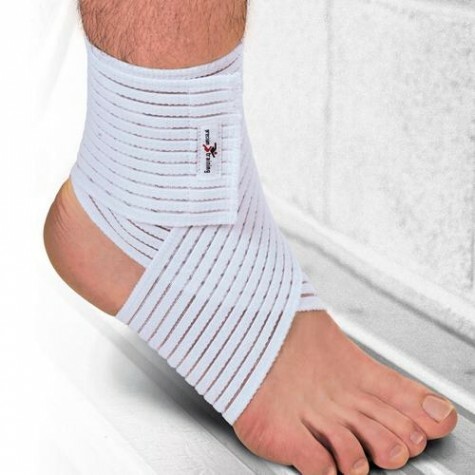 New Precision Training Elasticated AnkleElbow Wrap Injury Support Bandage Wrap. Light uniform compression and support. Easy to adjust for extra support and compression. Suitable for any activity and everyday use. Material: 55% nylon, 30% elastic,15% polyester.